An evergreen native shrub, can grow to 2.4m tall and 2.4m wide. The needle-like leaves are dark green and are crowded along the stems. 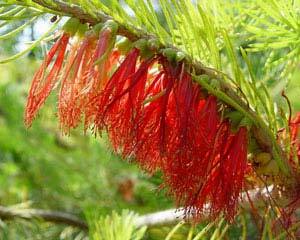 The distinctive bright red flowers have a soft feathery appearance and bloom from Spring through to early autumn. They do well in poor, dry soils. prefer full sun and protection from the wind. They are an attractive addition to a shubbery. 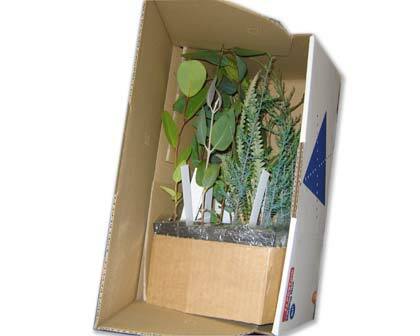 A sample selection of native plants at tube-stock size - packed in a batch of 16 for secure post.